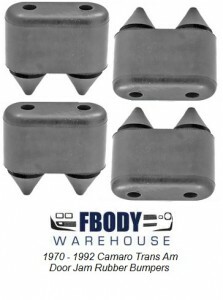 Set of 4 rubber bumpers for all 1970 - 1981 Camaro and Trans Am models. 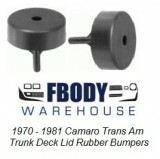 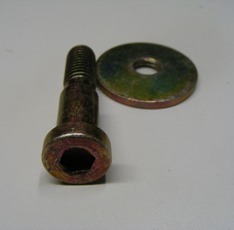 This is a set of 4 NEW replacement door jam rubber bumpers for all 1970 - 1992 Camaro and Trans Am models. 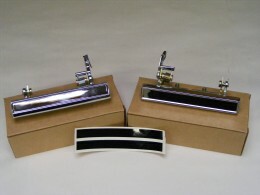 There are 2 units per door one high and one low. 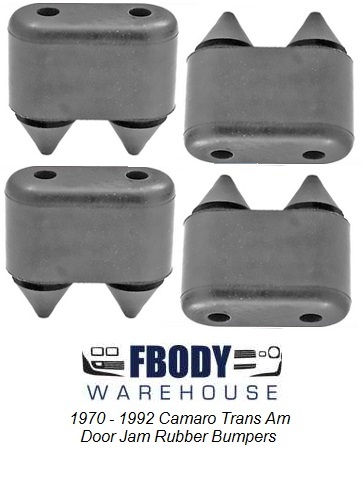 These units protect your cars body and door area when opening and closing doors.